ROCK has been providing mental health services since 1974. We began as CATC Children’s Assessment and Treatment Services and merged with HASS Halton Adolescent Support Services in 2002. In 2006 we rebranded to become ROCK Reach Out Centre for Kids. In 2008 we were joined by The Burlington Family Resource Centre in order to provide OEYC and Early Years programming. 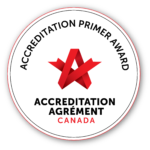 ROCK is accredited by the Canadian Centre for Accreditation. The Ministry of Children and Youth Services chose ROCK as the lead agency for the child and youth mental health sector in the Region of Halton in August of 2014. We are proud to collaborate with our partners to strengthen the community-based system for delivering mental health services.